River Falls - Great location between Greenville and Spartanburg with easy access to schools, shopping, and I-85. 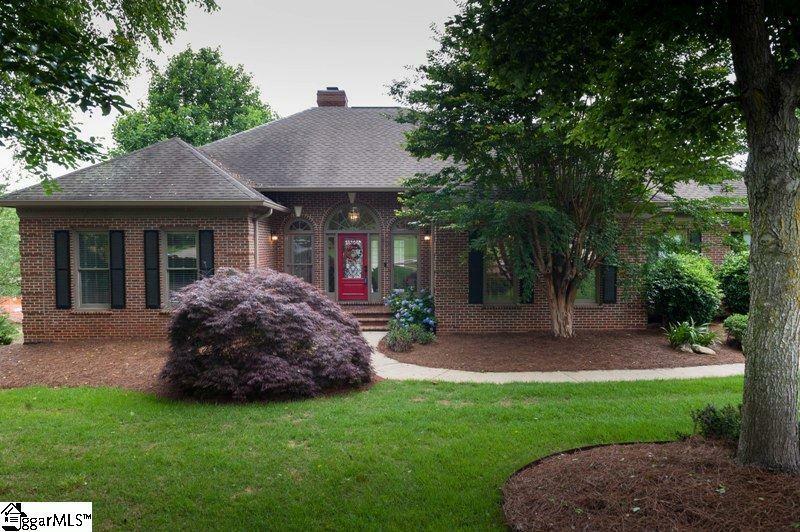 Beautifully landscaped yard with flowering annuals, mature trees, and irrigation system surrounds this brick one level home with full walk-out basement. 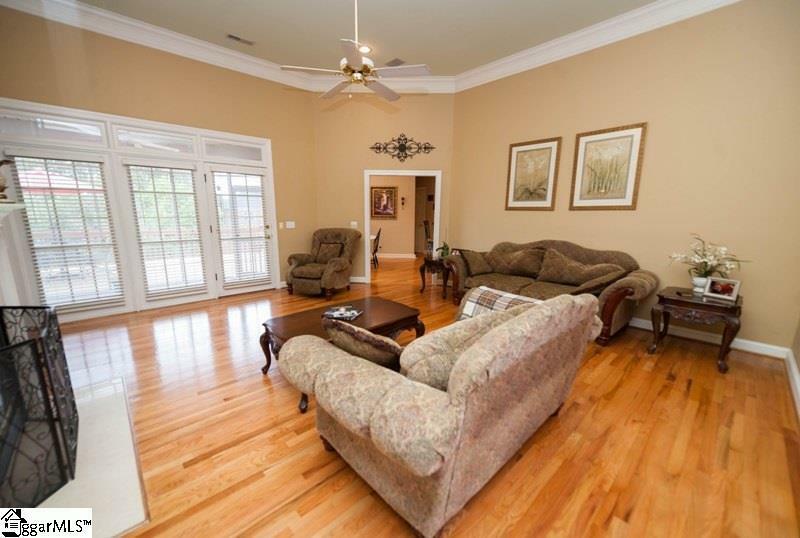 Main level offers greatroom with cathedral ceiling, gas log fireplace, and hardwood floors. Formal dining room and eat-in kitchen areas flow together to create a great venue for family meals or gatherings. Kitchen has granite countertops, tile backsplash, pantry, smooth cooktop, wall oven, and breakfast bar. 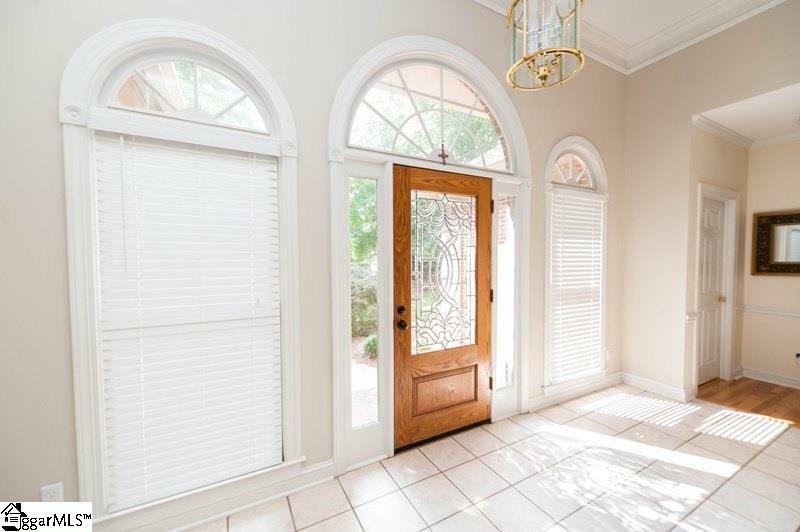 Master suite has hardwood floors, walk-in closet, jetted tub, separate shower, double vanity, and more. Split bedroom plan has 3 other bedrooms and a large hall bath on the main level. The lower level has 1952 finished square feet and 458 unfinished square feet in workshop/storage space. Rec. room downstairs offers a central gathering space with built-ins and a wet bar. 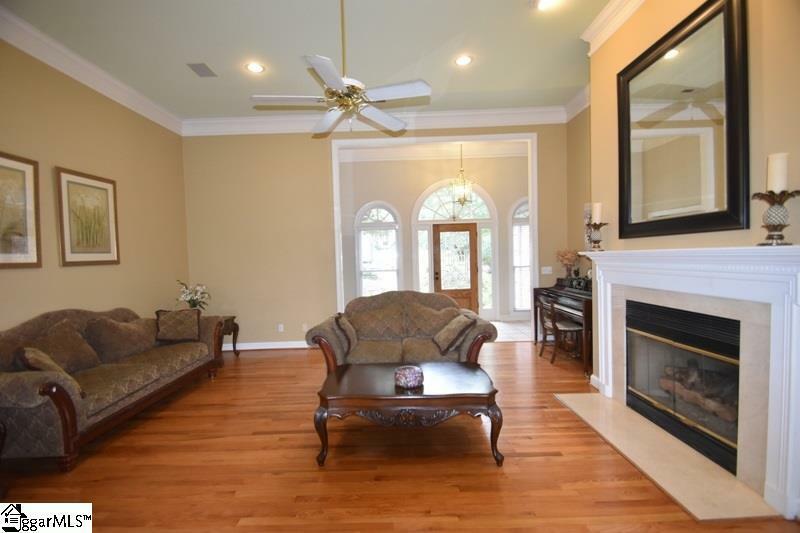 Large playroom, game room, and home office areas. Lower level bedroom suite is perfect for in-law suite, teens, or guests. Surround sound speakers are negotiable. Gutters were recently updated. Gas heat up / Heat pump down. Double garage on main level. Basement has a single over-sized garage. Screened porch overlooks recently updated deck. Large backyard is great for families!